▶ SoldThis listing was sold on Oct 30, 2017 for the price shown here. 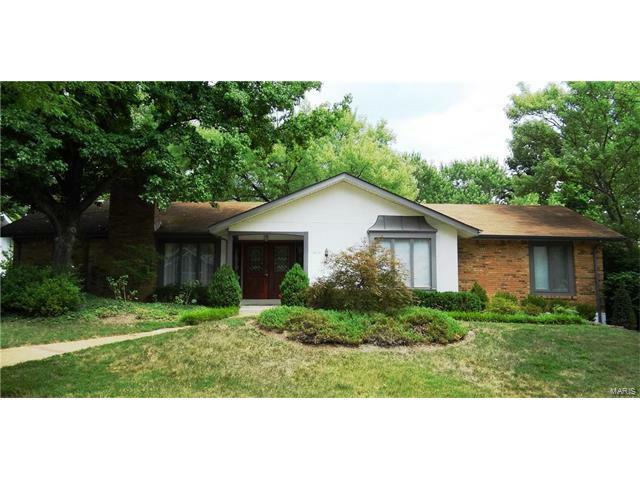 Brick ranch, over 3000 square feet of open-concept living & dining areas w/lower level living on quiet cul-de-sac. Lower level: Two bedrooms/one full bath & mini kitchen w/separate entrance, family room w/fireplace. Updated kitchen w/peninsula/breakfast bar, custom cabinets, Bosch extra-quiet dishwasher. Kenmore gas range & hood, stainless appliances, Silestone counter tops, pantry & pendant lights. Breakfast room opens to expansive deck. Open family room w/gas fireplace & tile entry foyer. Separate formal dining room. Main floor master bedroom suite w/updated full bath, separate shower & whirlpool tub, privacy toilet, two sinks & walk-in closet. New carpet & paint. Some wood floors. Awesome, four-season landscaping complete w/fish pond & waterfall, expansive deck & large screen porch. Main floor laundry. New Amana HVAC. All new copper wiring & data drops. Oversized rear-entry two-car garage. Top-rated Parkway Schools. Baxter between Clayton and Clarkson to north on Country Ridge, quick right onto Courtleigh Lane.